Please note: eAudiobooks can only be purchased with a UK issued credit card. Some of the stories motivate, some are spiritual, and some provide strategies for excellence.All promote positive mindsets, encouraging confidence, direction and vision. The stories are narrated by the author Nick Owen and are linked through an illuminating conversation between the Magician and the Apprentice. 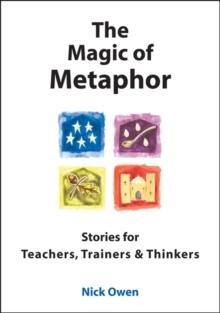 The Magic of Metaphor is an inspirational resource for counsellors, health workers, psychologists, professional speakers, managers, leaders and NLP practitioners, as well as for teachers, trainers and therapists.